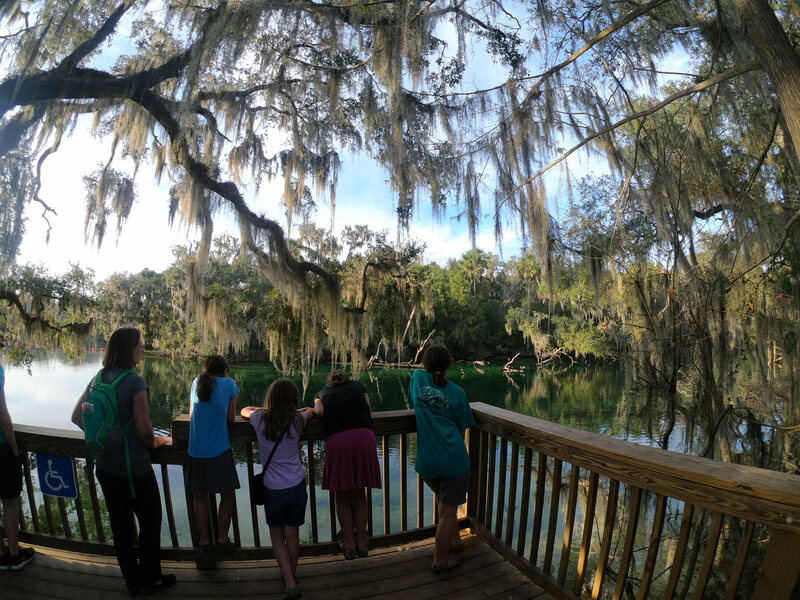 Searching for manatees? 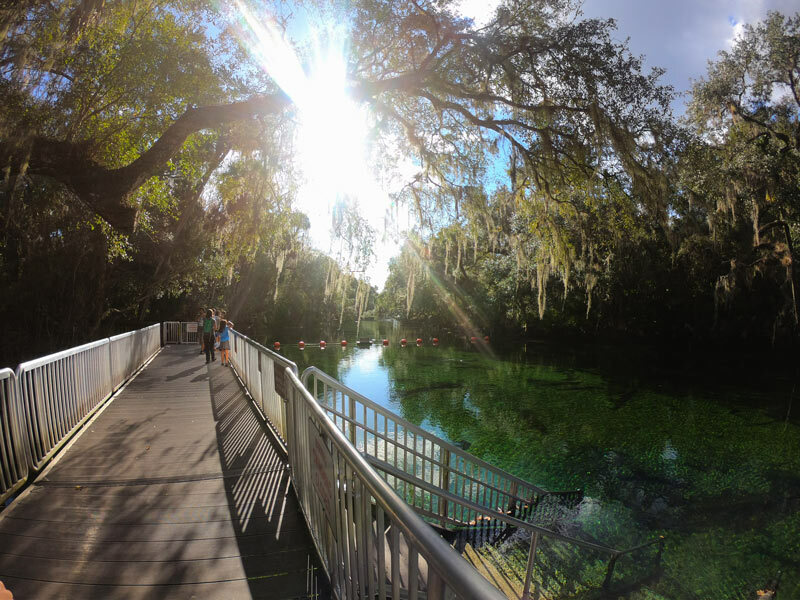 You've come to the right place – Blue Spring State Park, one of the jewels of Florida’s state parks. 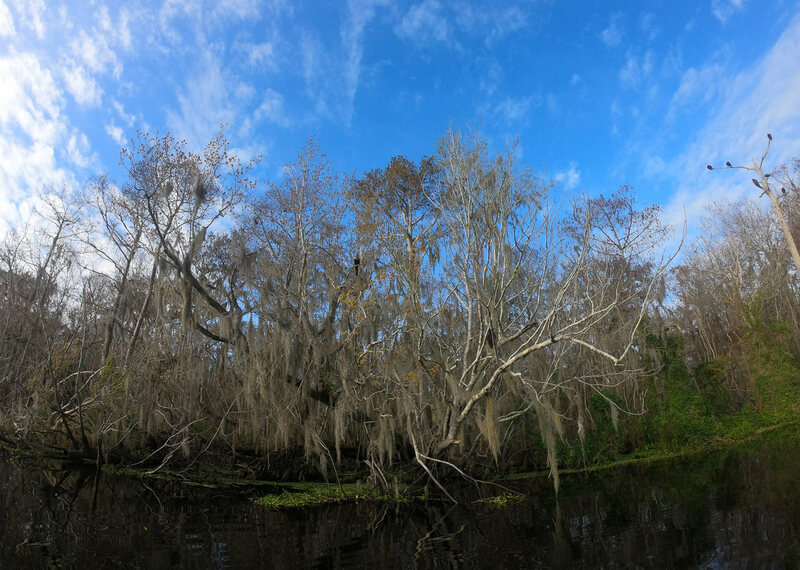 Surrounded by arching live oaks draped in Spanish moss, the constant 72F spring-fed waters are a winter home for up to 500 manatees. Relax under a deep blue sky unfiltered by the haze normally associated with the southern East Coast. 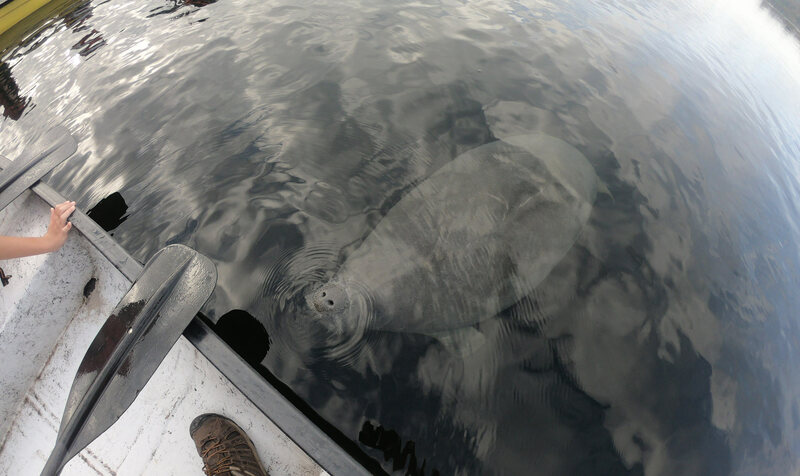 Winter in Florida - even the manatees seem to understand its magic. 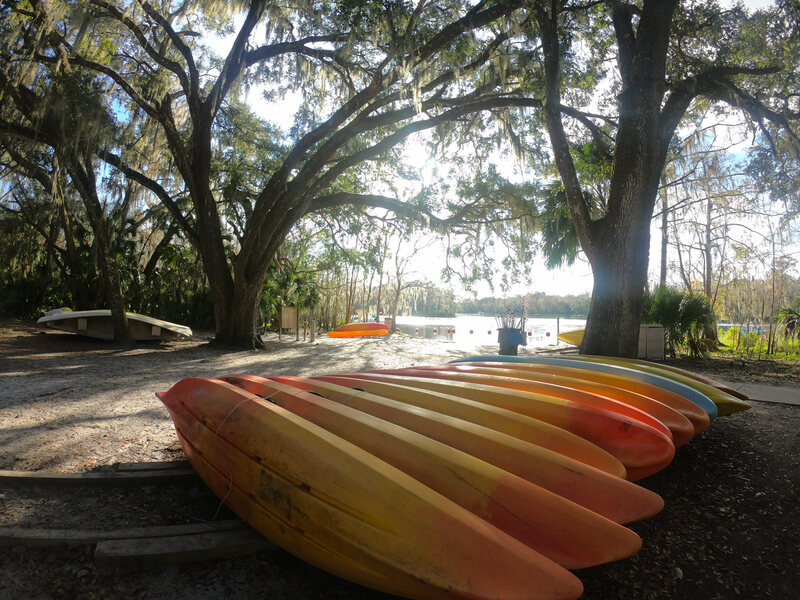 If you've made camp at Blue Spring State Park, then you are all set. 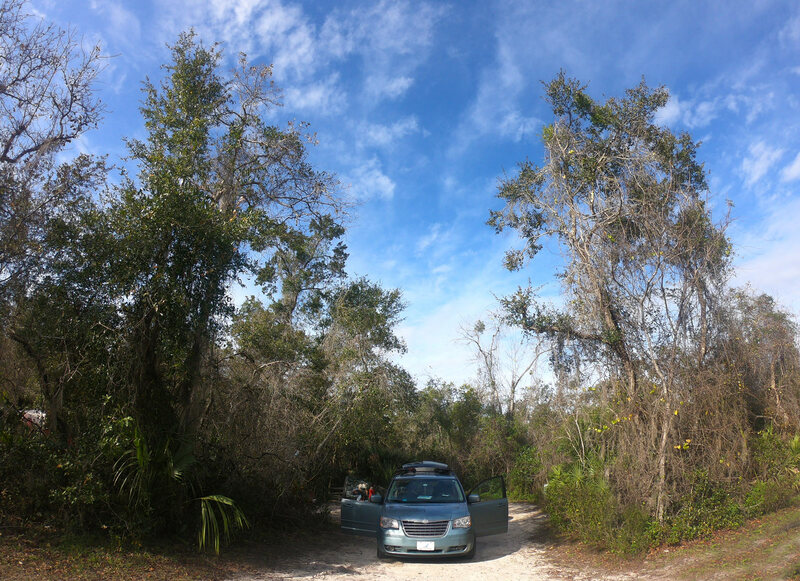 Take advantage of the short foot trail that connects the campground to the sanctuary. As with most things Florida - the earlier the better. 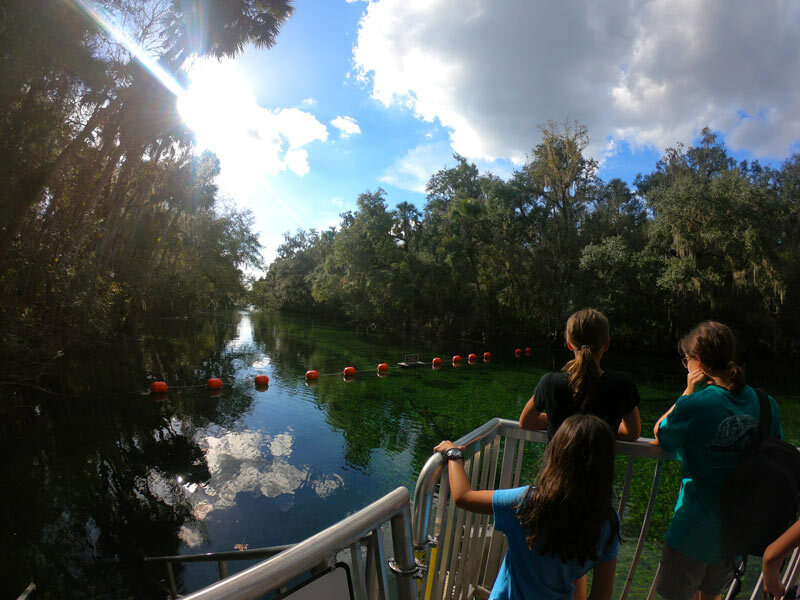 Avoid the mid-day crowds and catch the manatees while they are still basking in the warm spring before they head out for the day. 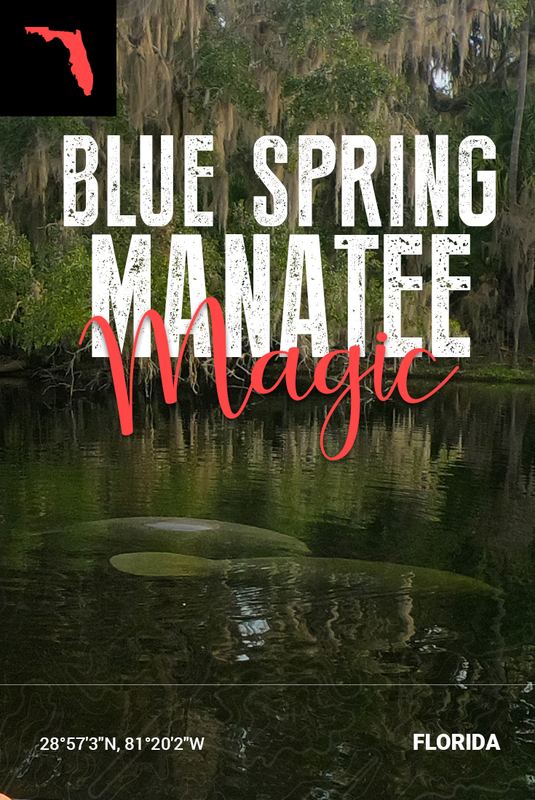 The closest you can get on foot is at the Blue Spring swimming hole which is closed to swimmers during the manatee migration which runs from mid-November through the beginning of March. Be aware that the warm summer months can bring large crowds to the swimming hole, and the park has been known to turn daily visitors away, so plan an early visit. 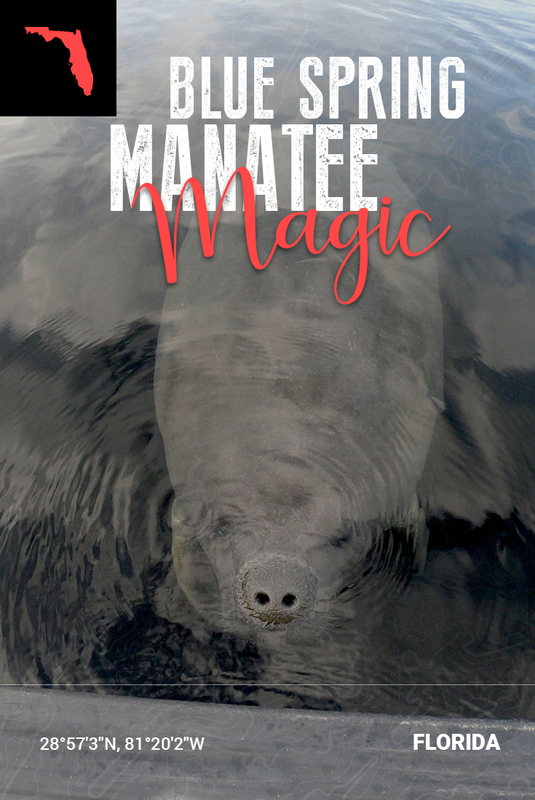 If you play your cards right and time your visit, you can see the manatees from the many observation points along the park's boardwalk as they make their way to and from feeding grounds in the St. Johns River. 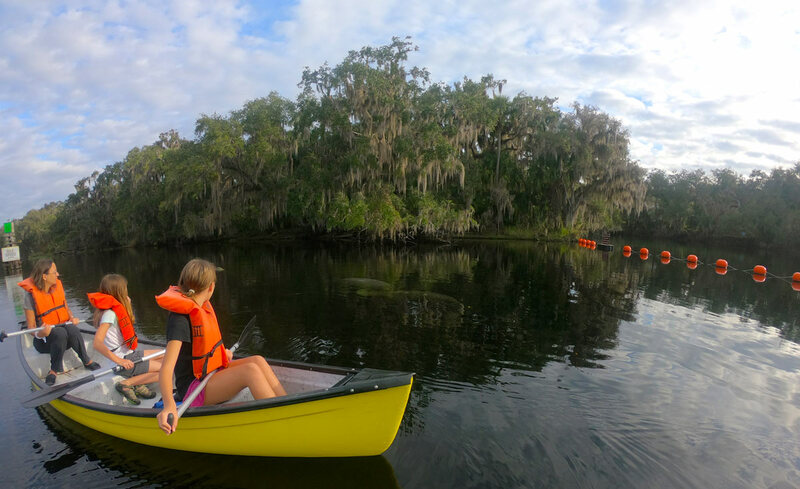 We highly recommend arranging kayaks or canoes with St Johns River Cruises for an early paddle out on the river where you can be certain to enjoy an up-close encounter with the sea cows as they make their way from their overnight sanctuary and into the river to feed. 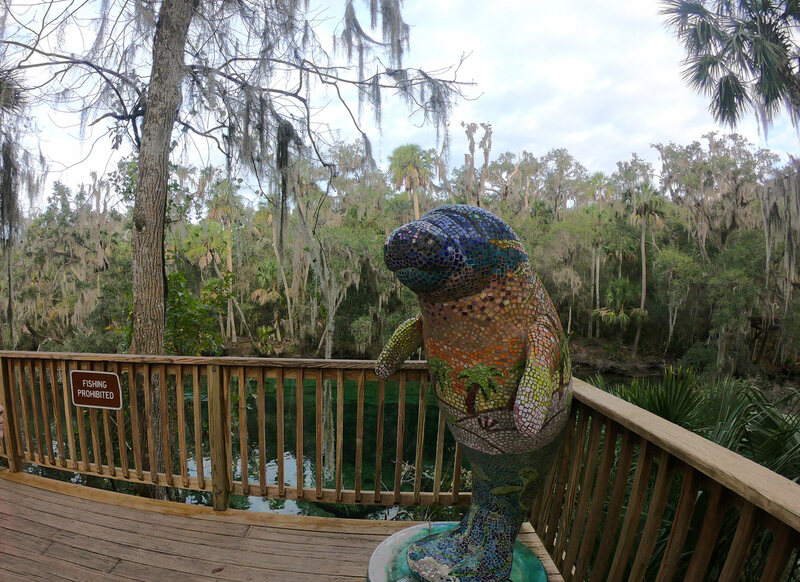 The manatees here at Blue Spring State Park are somewhat accustomed to visitors and seem to enjoy the company. They readily make their way to you when they hear you paddling along. 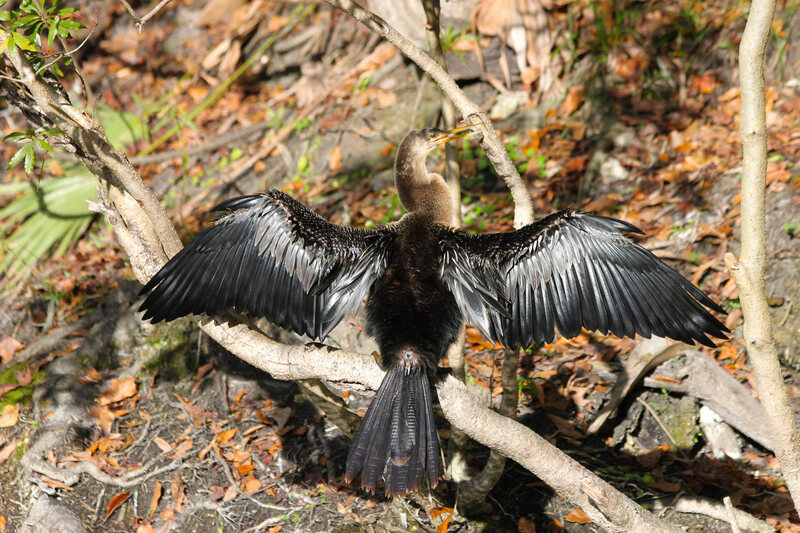 Apparently, they take advantage of the rough undersides of the canoes and kayaks and use them as back scratchers. The friendly boat rental agents tell us that they've been known to team up on kayaks and give them a playful flip! 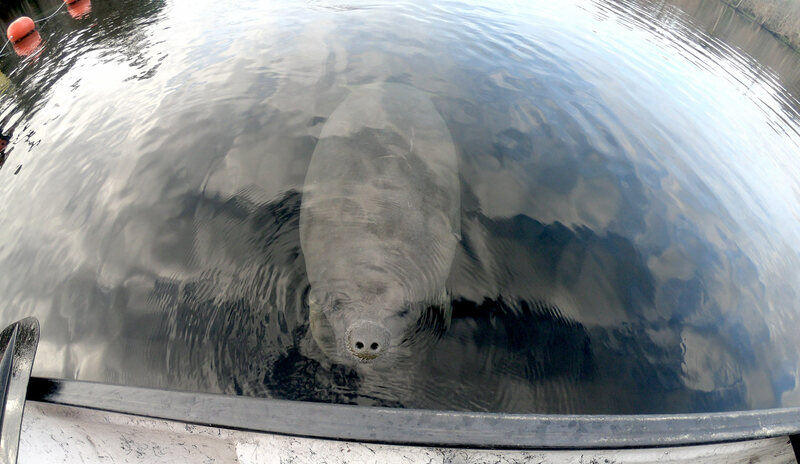 Weighing up to 1,200 lbs, manatees seem to be as friendly as they look and certainly are a curious lot. Being mammals, they must surface to breath and they are likely to give you a sniff in the process. During the winter months, they spend about half of their day sleeping in warm secluded waters like Blue Spring, but come out in the morning hours to feed on plants in the river and return in the afternoon to the warmth of the spring. Therefore, you’ll want to time your paddle or boardwalk stroll accordingly for the best viewing. 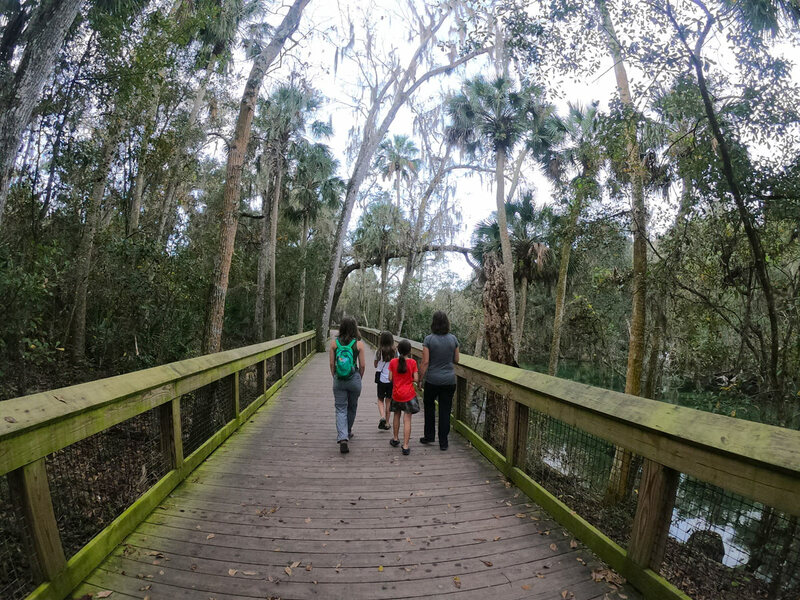 Blue Spring State Park: More than just manatees. 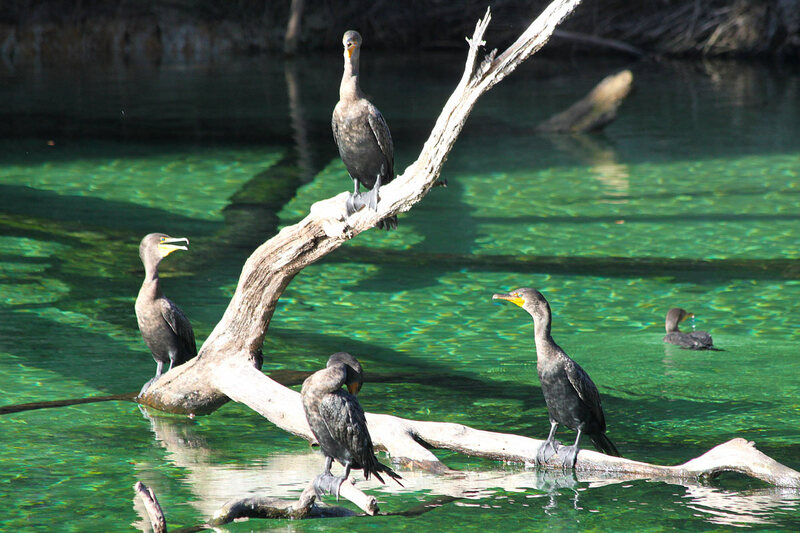 If you happen to miss the manatees, fear not ... there is plenty of wildlife that calls Blue Spring State Park home during the winter months. In fact, more than 150 avian species alone make the official list including cormorant, barred owls and migrating wood-warblers. 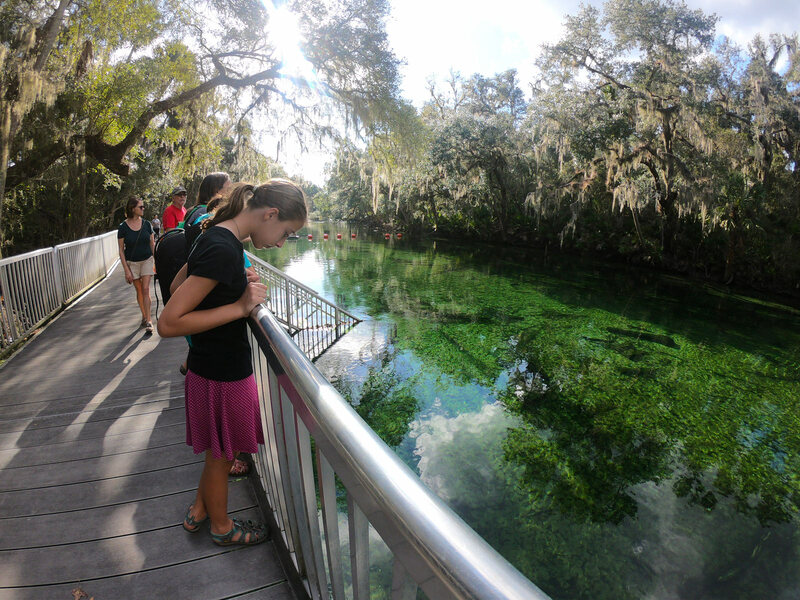 You can also see large shoals of Florida gar, gators, river otters, and a variety of turtles in the spring run. Other fish species that you are likely to see are bowfin, largemouth bass, bluegill, shad and mullet to name just a few. For the birders, we saw great blue heron, little blue heron, tricolored heron, ahingas, cormorants, and black vultures. 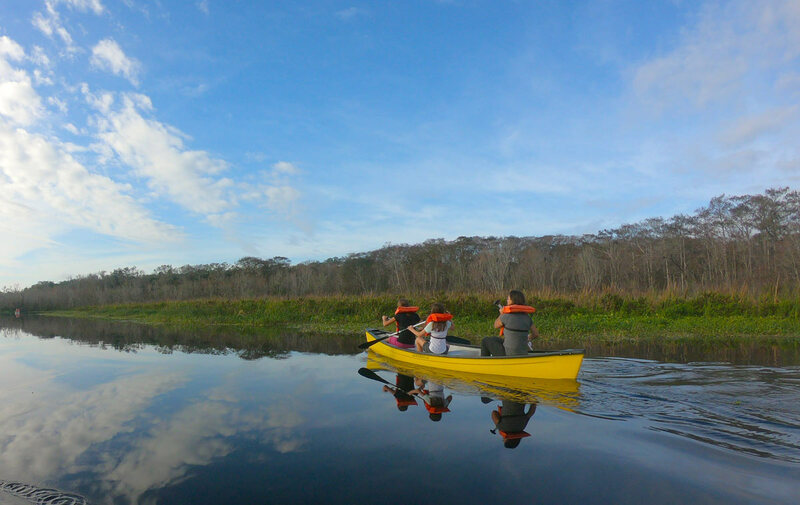 And for reptile lovers, we canoed by one alligator. 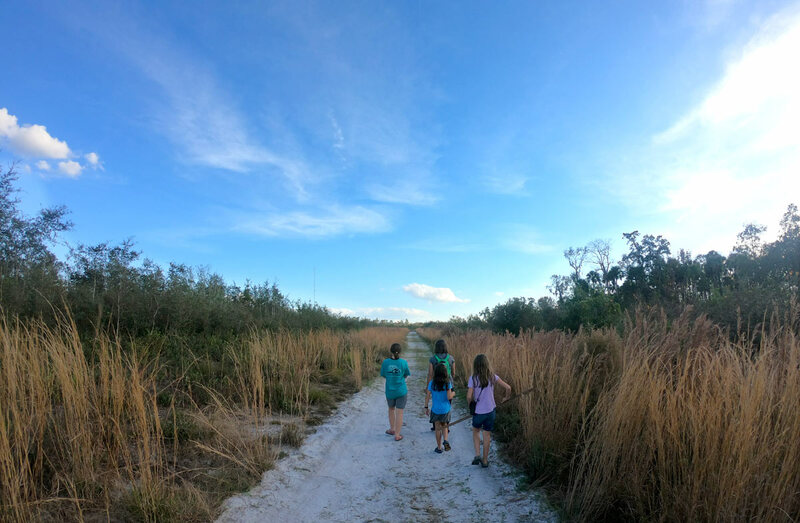 To see Florida scrub-jays (only found in Florida), hairy woodpeckers and Bachman’s sparrows, go for a hike along the Pine Island Trail which starts southeast from the last parking area. Look for the kiosk at the trailhead. 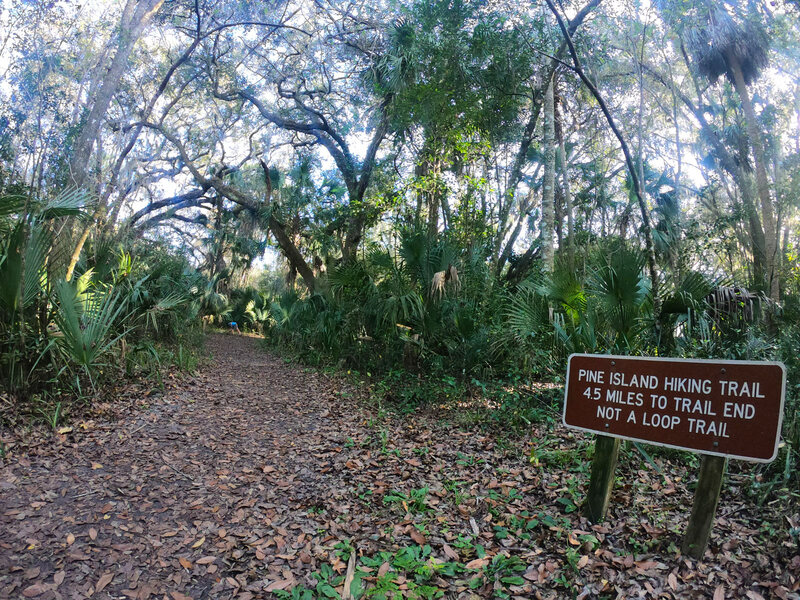 The one-way 4.5-mile Pine Island Trail winds through classic Florida sand pine scrub, pine flat woods, freshwater marsh to the St. Johns River- a great trail for songbird migrations in the spring and fall. Signs indicate that black bears inhabit the region, but sightings and encounters are extremely rare. Bring plenty of water, snacks, sunscreen, and mosquito repellant! 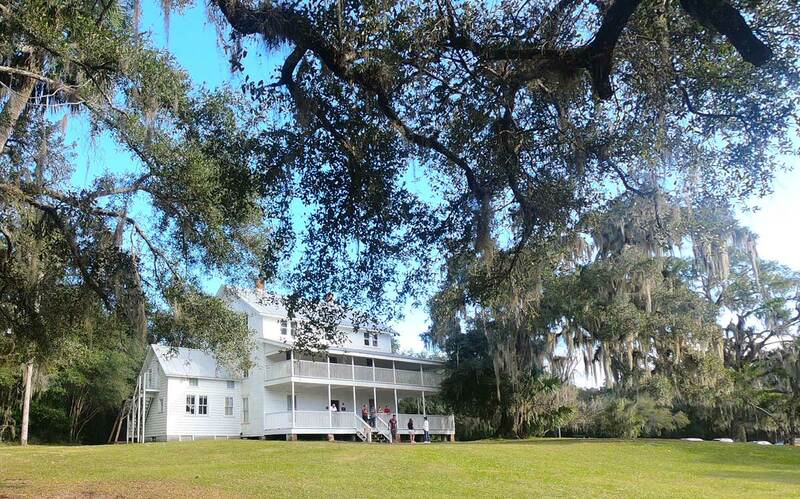 Looking to become wealthy, early settler Louis Thursby built one of the first steamboat landings here on the upper St. Johns River as well as planted orange groves. Interestingly, the Historic Thursby House sits upon a Native American shell midden, or mound. These mounds contain archaeological clues to the lifestyle of the earliest inhabitants. Take the free self-guided tour of this well-preserved 19th-century home. 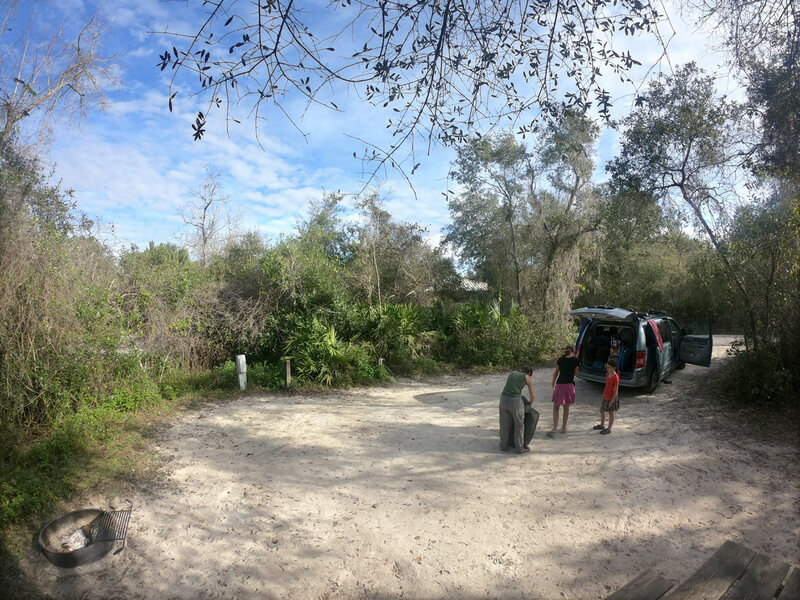 Generous in size and private by design, the 44 sites of Blue Spring State Park were a welcome end to a long haul from our stay on Sanibel Island. Sites #18 or #19 put you square between the squeaky-clean bath house and Blue Spring trail with #19 being the flatter of the two, if you are pitching a tent. In any event, it looks as though you can't go wrong with any of the sites in our estimation. We met personally with the camp hosts, and they take seriously the maintenance, upkeep, and cleanliness of the sites and facilities and seemed proud of the work that they were doing. The bathhouses have large, private, doored showers, an abundance of hot water, and access to laundry facilities. Truly a gem of a place to make camp!